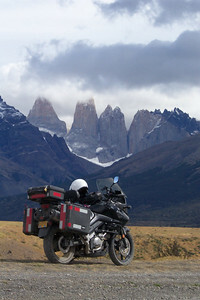 Introducing Caribou Adventure Motorcycle Luggage Systems. 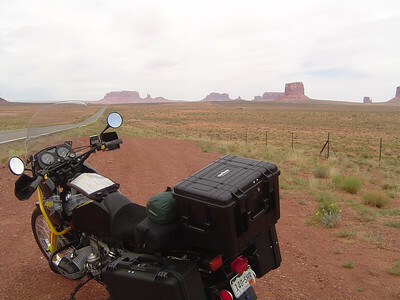 The world's toughest and most waterproof motorcycle luggage, and the Original Pelican-Based Motorcycle Luggage Company. The beginning of this thread is updated regularly, so please read this part first. 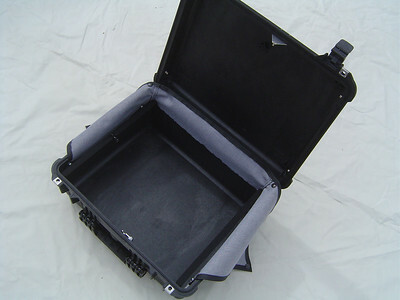 -Side cases in 25 Liter, 35 Liter, and 40 Liter case sizes, both top loading and side loading available. 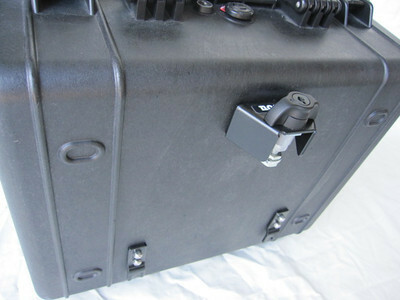 -Rear top cases in 25 Liter, 34 Liter, 35 Liter, and 40 Liter sizes. 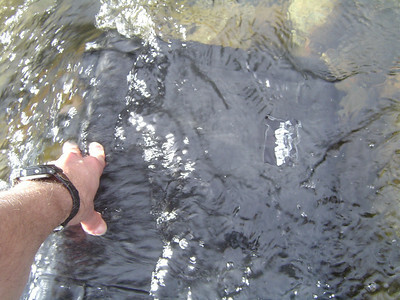 -COMMANDO hybrid soft bags in 35 liter size. 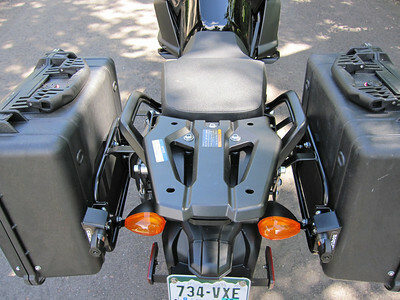 -Side Case systems designed for Hepco Becker, SW Motech EVO and Givi side luggage racks in 5 different case sizes including COMMANDO hybrid soft bags. 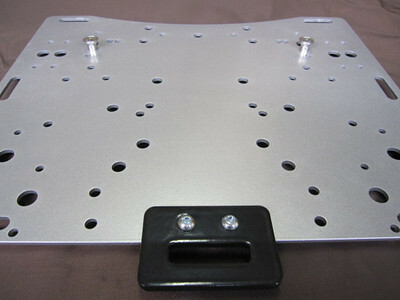 -Do It Yourself mounting kits for side luggage and top cases. 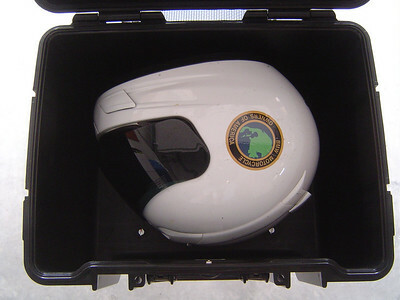 -Accessories including our Custom Case Liners, Inner Bags, Tie-Down Brackets, ROK Straps, SOLAS Reflective Tape Kits, Lid Organizers, Top Case Back Rest Pads, and more. 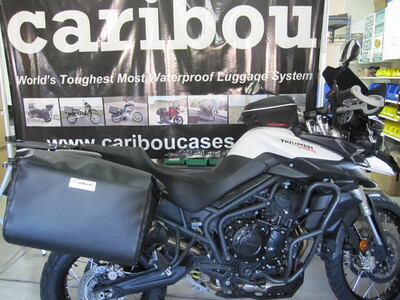 Our luggage fits most Adventure Touring and Dual Sport bikes including BMW GS bikes, Kawasaki KLR 650 and Versys, KTM 950/990 and 1190/1290 Adventure, Suzuki V-Strom DL650/Adventure and DL1000, Triumph Tiger 800XC and 1200 Explorer, Honda Africa Twin CRF1000L NC700X and CB500X, Yamaha Super Tenere and many more. 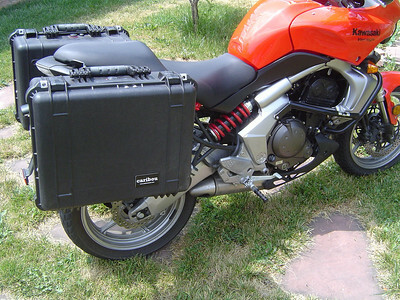 Our side luggage kits will fit just about any bike with Hepco Becker, SW Motech EVO and Givi Monokey side luggage racks. 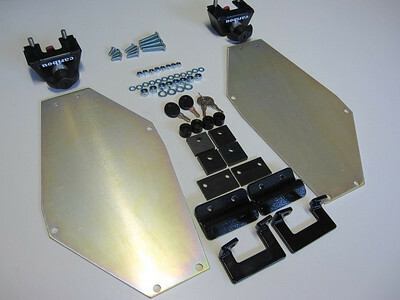 Or if you prefer, order just any parts that you need to create a luggage system that fits your budget and style. Nearly Indestructible - Caribou Luggage is based on Pelican an other military-style cases constructed of ultra high-strength polypropylene copolymer resin featuring heavy-duty watertight o-ring lid seal. 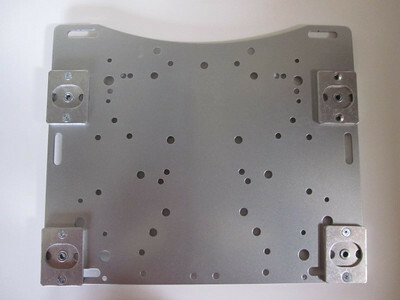 They will not crack or shatter like OEM hard plastic, will not deform & leak like aluminum, will not rip and tear like soft bags, even in extreme temperatures. 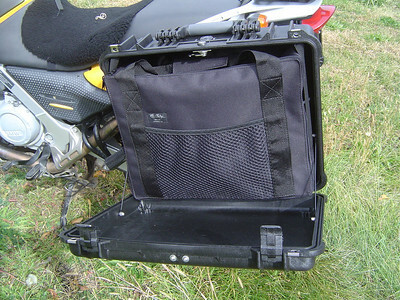 Optional Caribou Case Liners give you the best of both worlds of top loading and side loading motorcycle luggage- when you open the case nothing falls out, you can see and access all of your gear easily, and you can leave long items strapped across the rear seat and still get the case open. These liners are made of a strong, weatherproof, mold/mildew and UV resistant material that resists creasing so it doesn't get caught in the lid seal when you close the case. 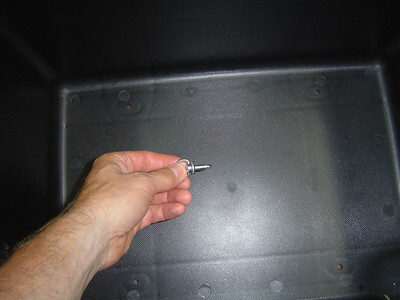 Snap buttons on the liners and case lid allow you to lay the case flat with the lid fully open. 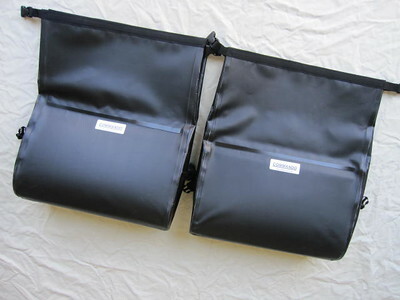 They are pre-installed when ordered as an option/accessory with a new set of Caribou side case luggage, and they are retro-fittable to existing Caribou side cases. All cases have heavy duty handles with rubber padding. 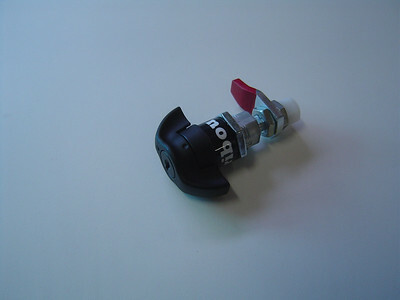 Waterproof air valve automatically equalizes pressure as you change altitudes. 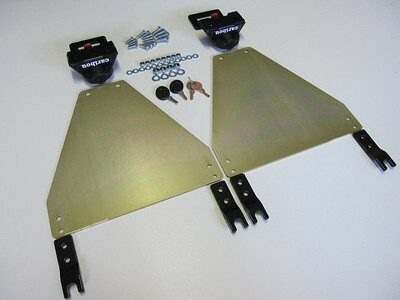 Designed for the Long Haul - The Caribou latch has a key lock for security that is matched to the lid lock key. 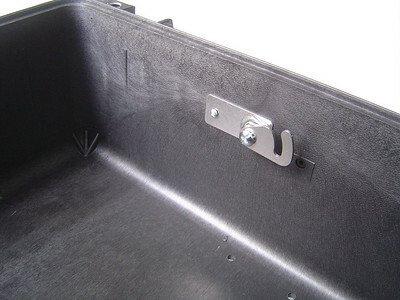 A 180 degree turn of the wing knob creates a dual action that holds the case completely tight to the luggage rack. No movement or rattles of any kind, and unlike puck or spring-pin fastening devices, the Caribou latch is adjustable to account for normal wear and keep cases tight over many years and many thousands of miles. 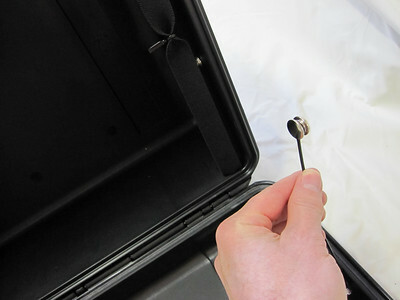 Turn the wing knob and lift the case off, it is that easy. 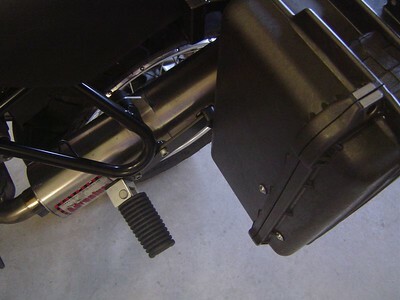 All heavy gage steel, no flimsy plastic parts holding the case to the bike like OEM luggage. 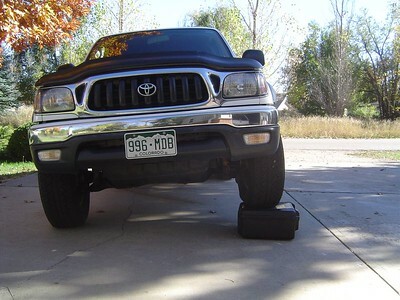 Flexibility - Our complete side case systems come with German-made Hepco Becker racks, they are the best designed and strongest racks you will find. 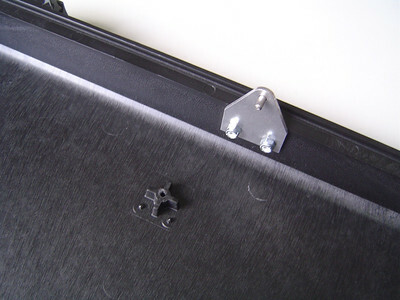 Most of the HB racks are the "Lock-It" type that are easily removed in a few minutes leaving behind small, discreet attachment plates. 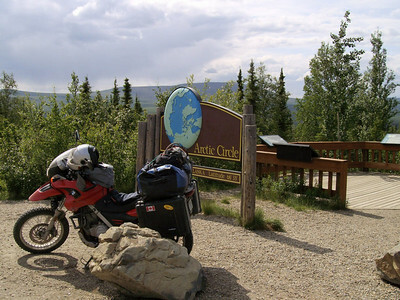 All Caribou side luggage systems are designed to hug the bike's frame for a narrow width, about 38" side-to-side across the cases (give or take an inch depending on bike). 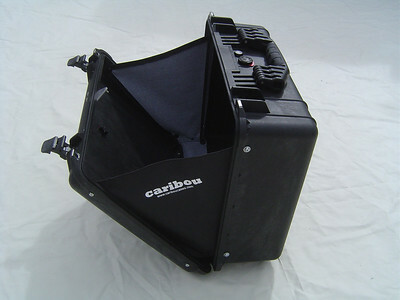 Caribou 25L, 35L and 40L Top Case systems feature an external latch system. 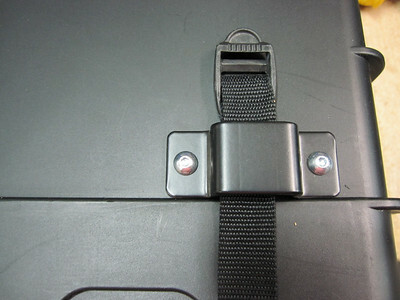 The 34L top case utilizes an internal QFS quick attach/release. 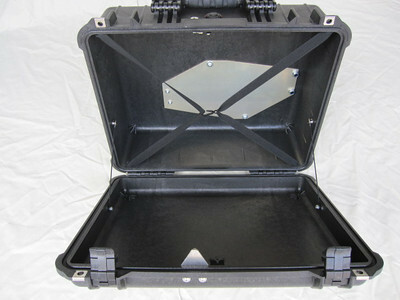 All systems include an integrated waterproof case lid lock, bike-specific mount hardware and a rigid aircraft grade aluminum cargo plate. 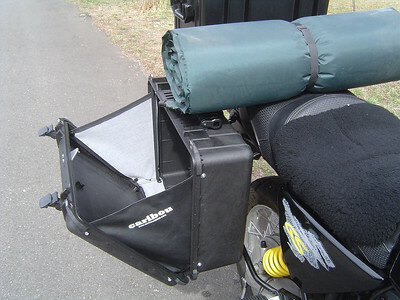 You have lots of options because we make side luggage panniers designed to fit Hepco Becker, SW Motech EVO, and Givi Monokey side luggage racks. 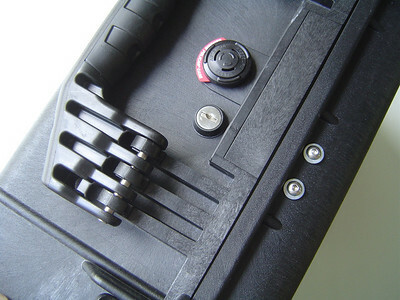 All of our case and mounting systems have the same industry leading features: rugged design with steel parts, quick attach/release, lockable, field replaceable break-away latch. This offers a significant luggage upgrade that is very affordable, especially if you already have one of these racks. 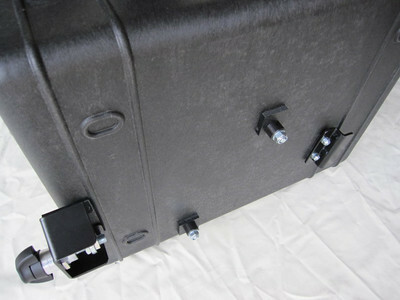 Our side luggage case mount system is also available separately as a DIY kit. 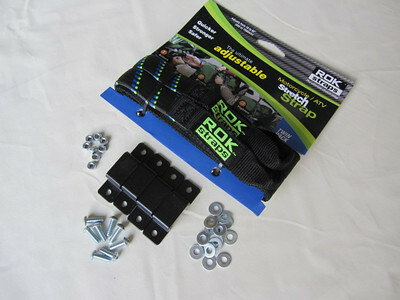 See our how-to videos on YouTube and take the guesswork and stress out of building your own luggage system. Beautiful system and it looks like they'll be durable as all hell too!!! Great job on the R&D. Nicely integrated and the locks look great! Excellent work. Love the mounting system. 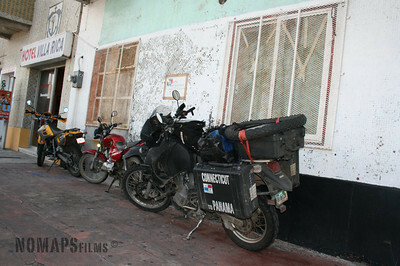 Makes me wish I had a GS just to have that beautiful set up. Well done!! 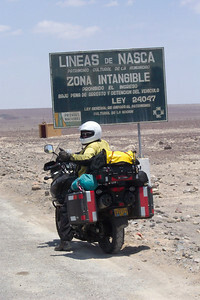 Please proceed with all haste for 2003 F650 Dakar hardware! A fine setup! Those are going to sell like hotcakes! I've used Pelican stuff for a couple of years and swear by it now. 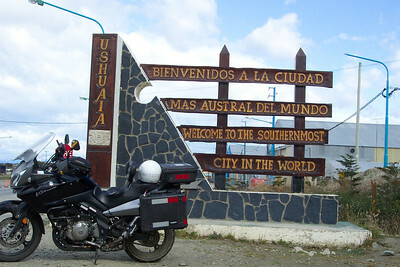 How far out do you suppose you are for the 650 V-Strom? 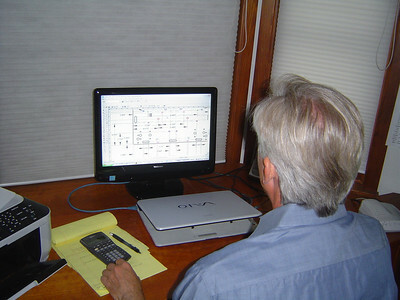 I'm not in a rush, but hope to have a system in place my late March. 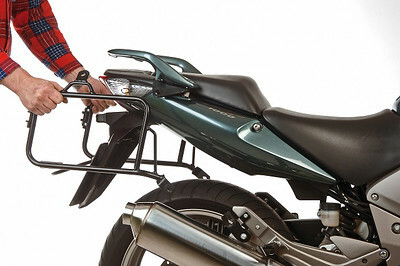 I'm looking at some Givi knock-offs that are "OK" (I have one for a tail trunk) but these look like they're a lot more durable. I'm impressed. Both with what you have come up with and with the Pelican company for being so responsive at a grassroots level. 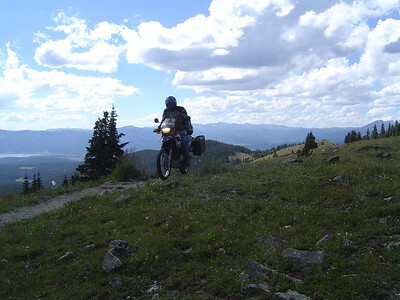 It looks like you have a good product at a good price and I am looking forward to seeing what you come up with for KLR's. I am currently running soft bags and ma pretty happy with my setup but I could be swayed. 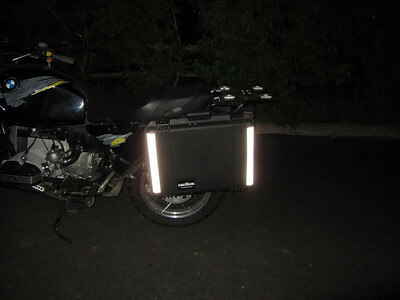 By the way, any idea what size bags for the KLR? As much as I like the capacity of the 1550's, I think that the 1520's are probably a better fit. Anyway, they look great. That's a BIG ROGER! on the Above Comment! If Steve-O can't hurt them, Nobody can! .........Seriously! I've been waiting for years for something like this. BMW, TT, Jessie, and HB should be crying right about now! Excellent work. I'll be ordering mine come February. Thanks for giving us a better option than over priced Aluminum. I really like this system! If you need someone to test a setup for the 1200GS let me know. When, if...I ever destroy my Happy Trails Bags, I'll be giving you a call. I can be your Wee-Strom Guinea Pig...looks really good. I really like the cases, and mounting looks solid as anything I've seen. Great work. 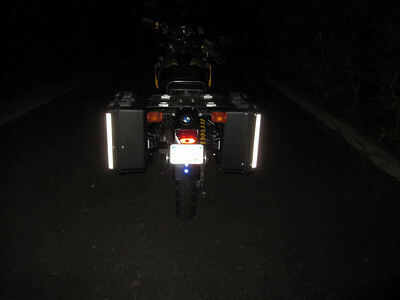 I currently use GIVI, but can e-bay 'em for bigger stuff. Nicely done. Another vote for DL650 racks, since I see one of these in my immediate future.